Right now I’m in California and the temperature could get up to 74° today. When I left Saint Paul yesterday morning it was -12°! During my down time today, and before the lecture tonight, I am alternating computer work with walking laps around the parking lot of the hotel were I am staying. I just can’t pass up taking advantage of this great weather! 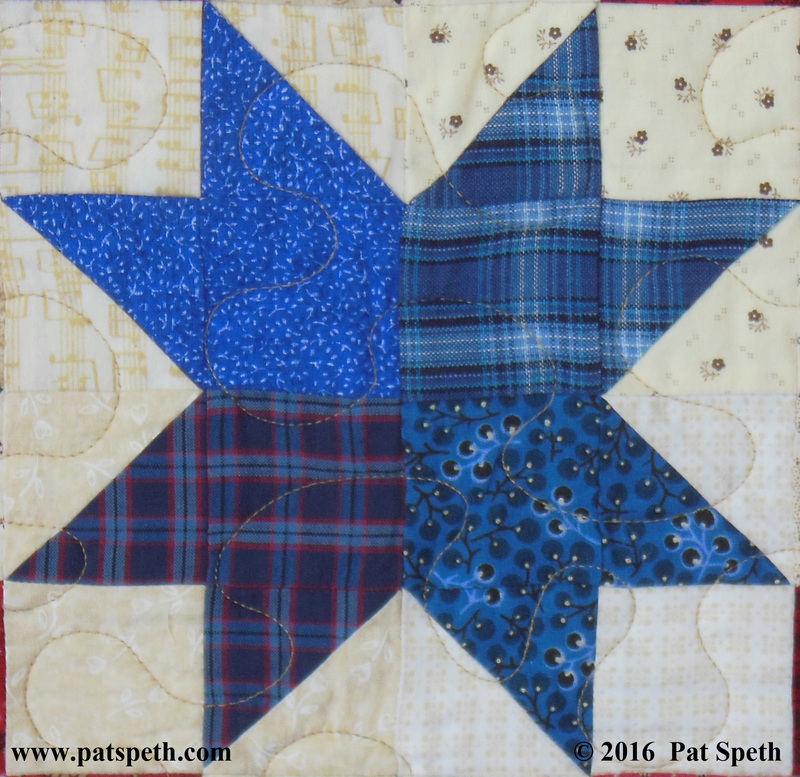 Now for the borders on the Sweet Land of Liberty quilt. 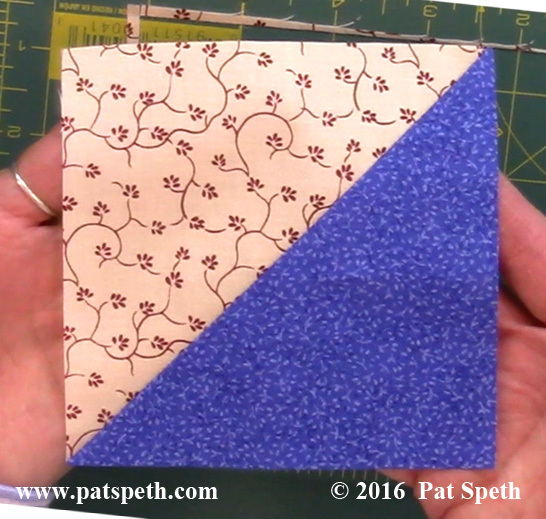 I utilized my planned leftover half square triangles in this pieced border. 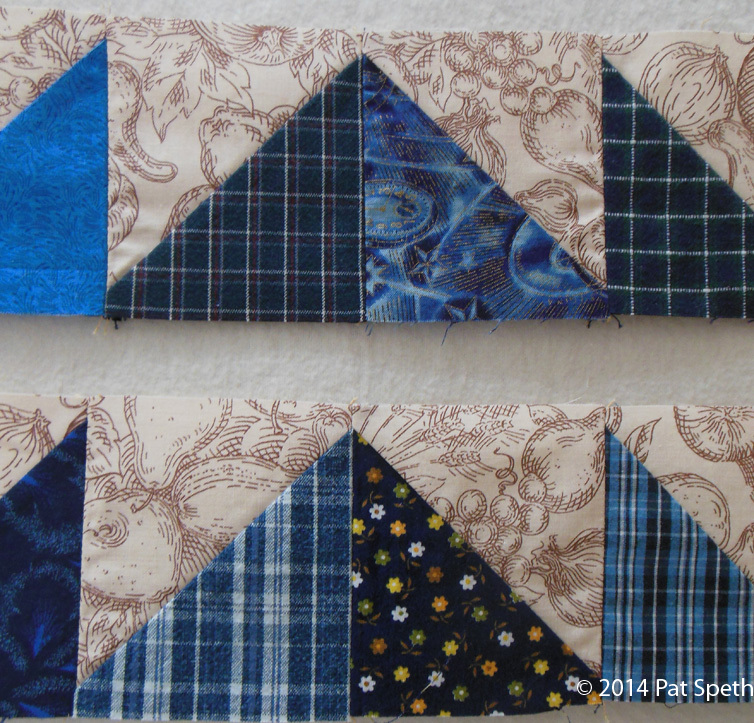 I sewed them together, changing direction in the center of each border. 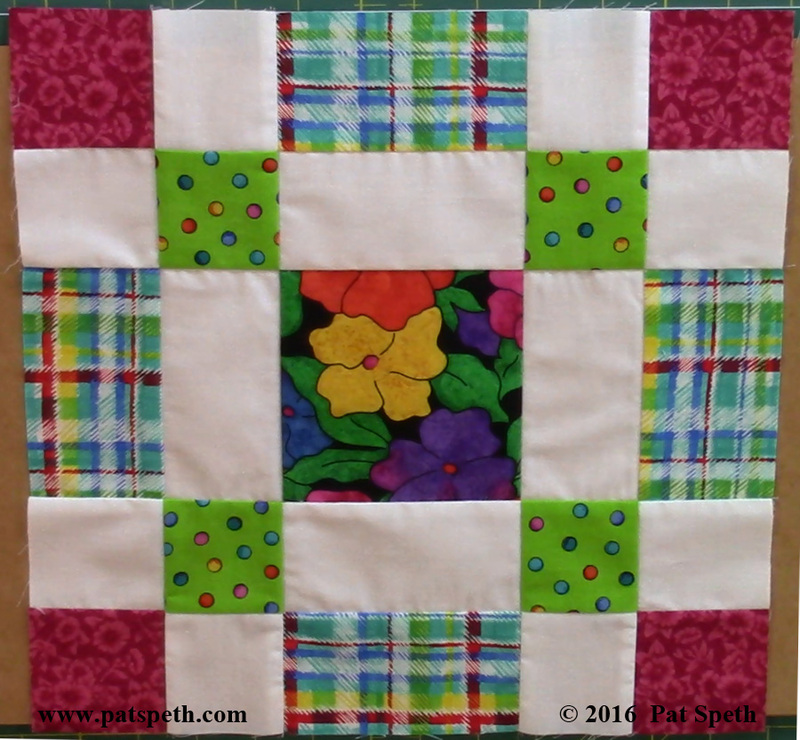 Many times when adding a pieced border, I rely on an inner border to make my pieced border fit my quilt; not this time. 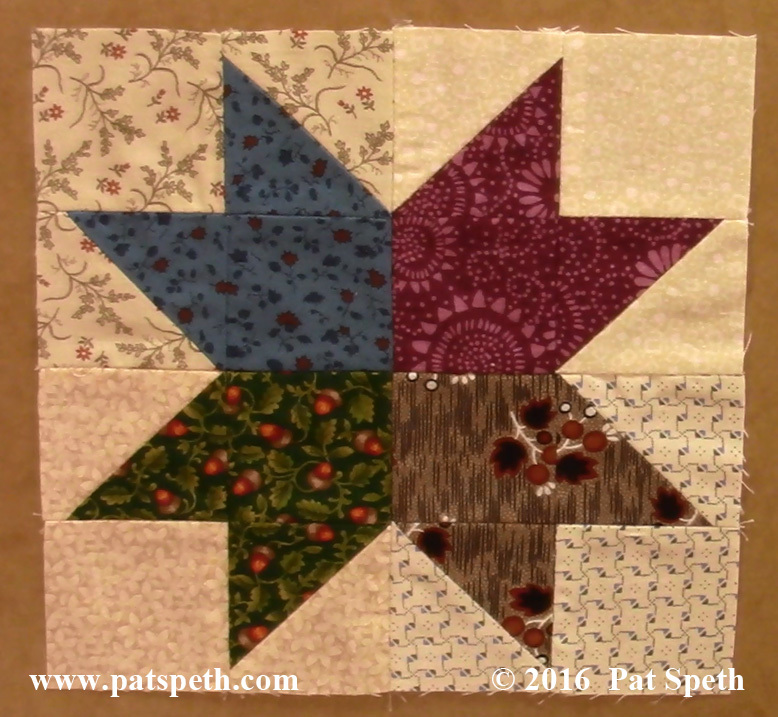 With this pieced border I am going to adjust the pieced border in the center by inserting coping strips or taking a larger seam. 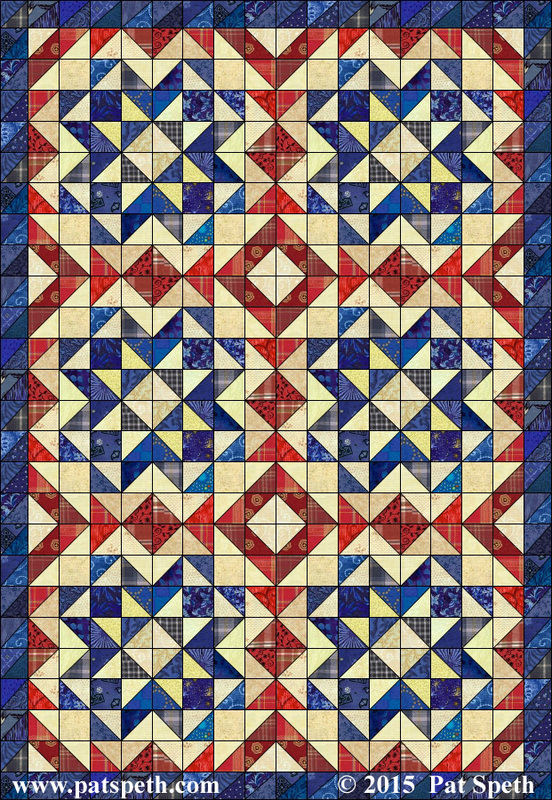 This is a close up of the center portion of the pieced border, with the half square triangles changing direction, and before the adjustments were made. 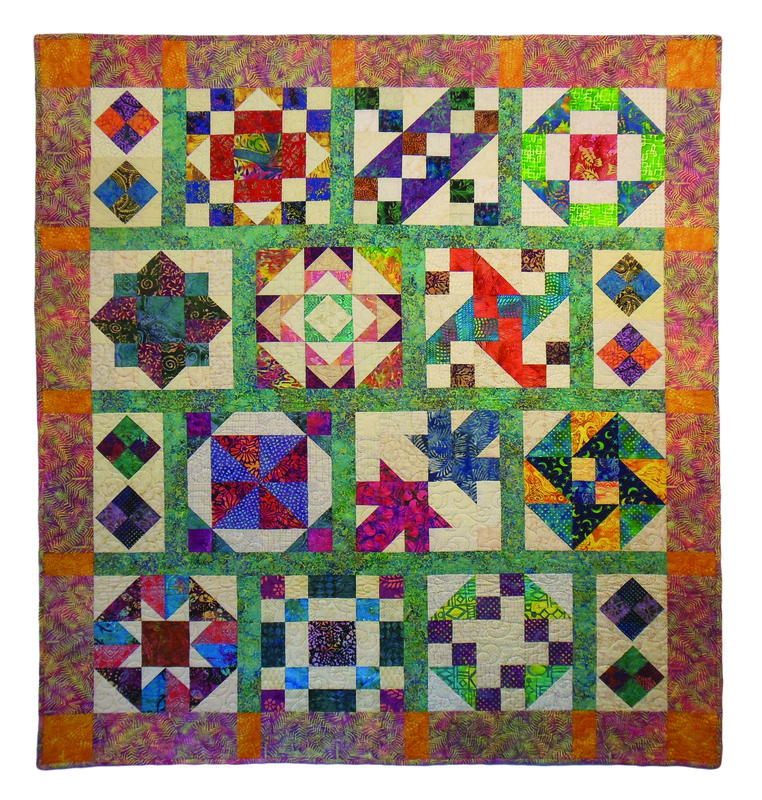 After measuring my quilt top and my pieced borders I discovered that I needed to add a couple of inches to the top and bottom borders to make them fit the quilt top. So I just ripped out the center seam and inserted this coping strip. 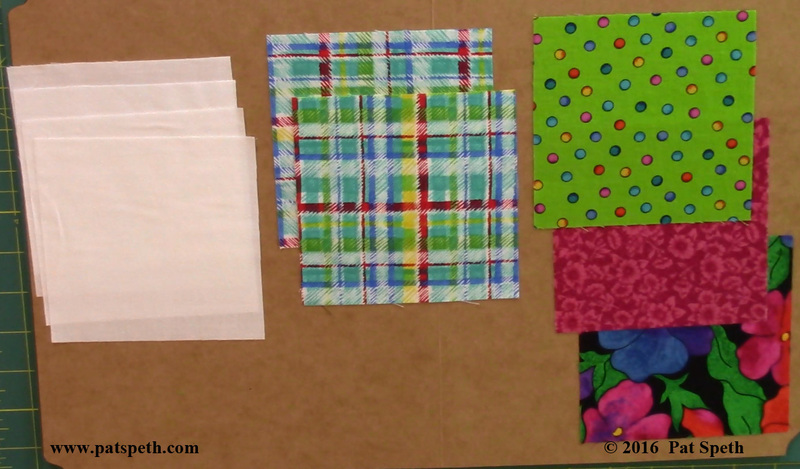 The side borders were just 1/2″ to long to fit the quilt, so I simply took in the center seam. Yes I chose a different treatment for the side borders than I did for the top and bottom borders, I love making up my own rules! 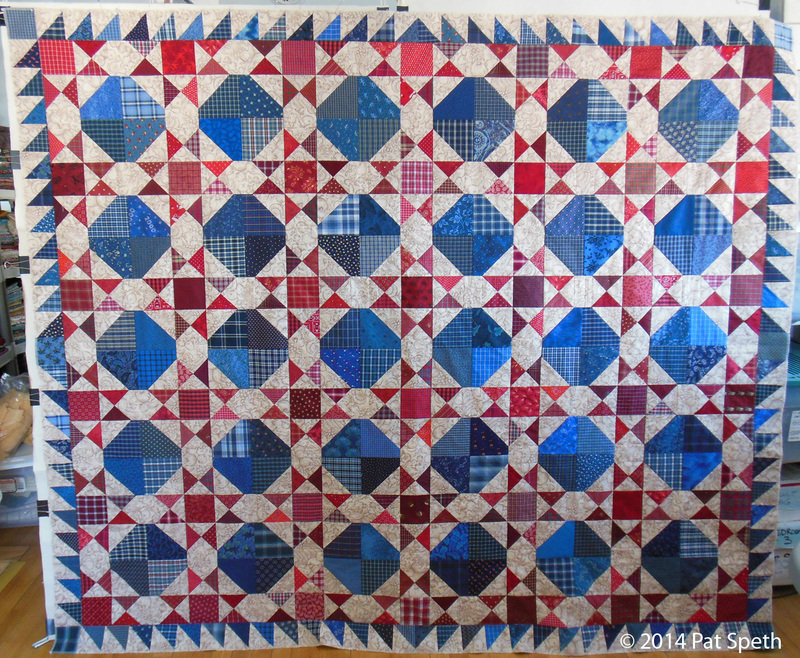 And here is the quilt top with borders added! It’s pinned onto my design wall sideways. 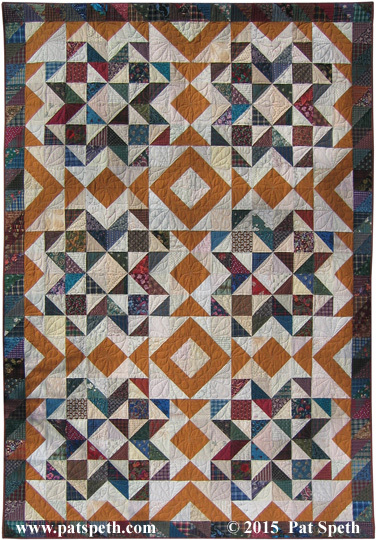 On my list of things to do when I get home is to load this on the longarm and get it quilted! 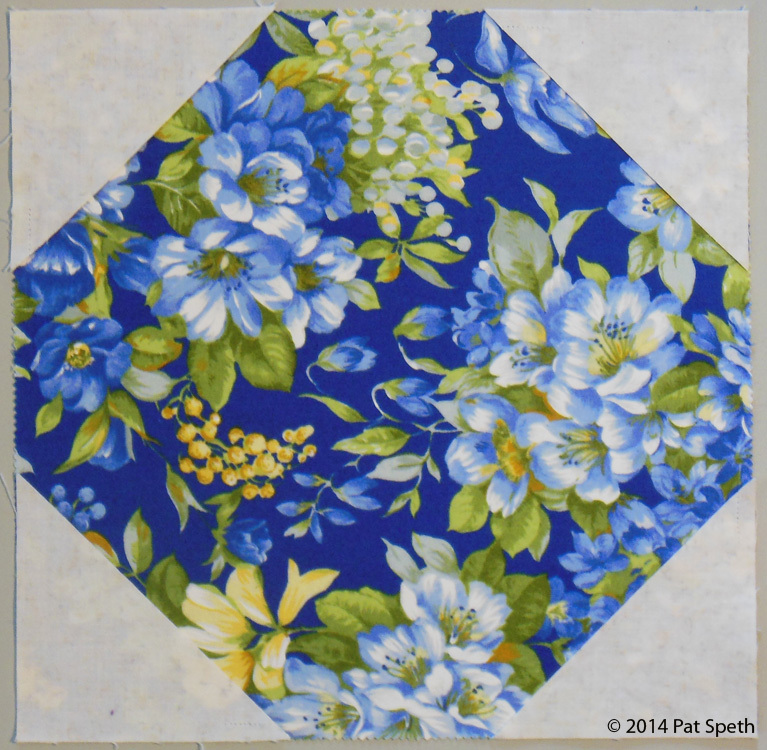 Of course this quilt is a great use of 5″ squares! 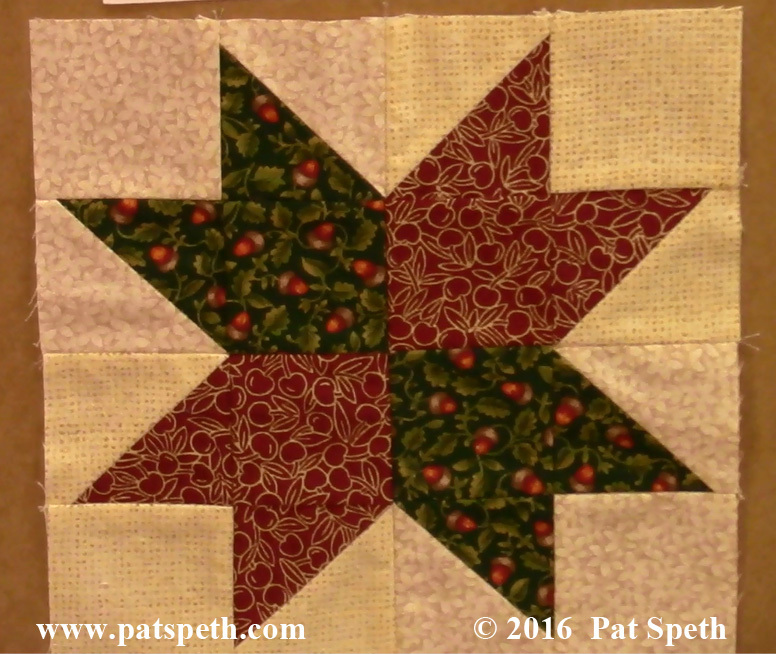 It’s time to show you the progress I have been making on the Sweet Land of Liberty quilt. 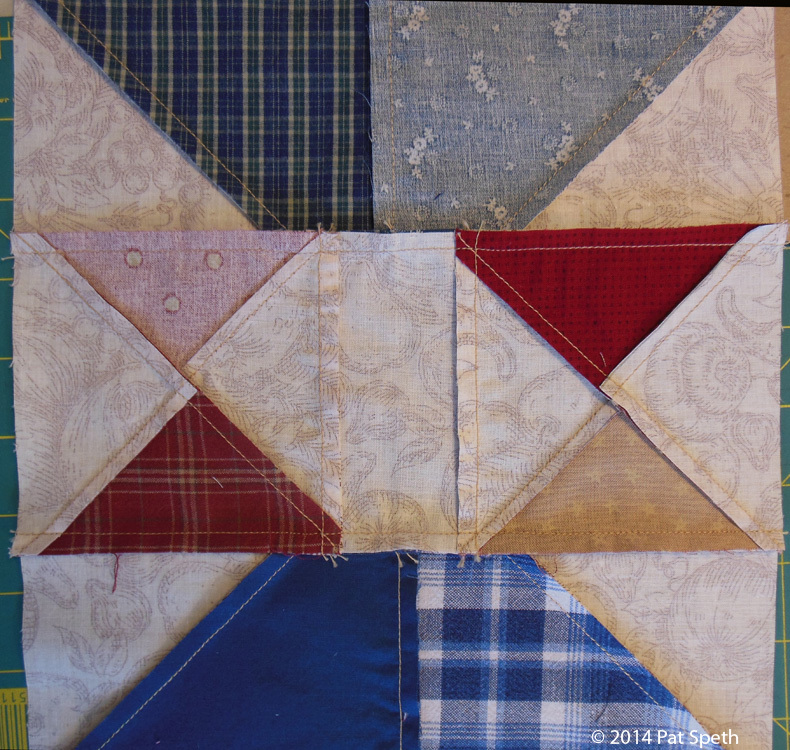 The blocks have all been sewn into rows and all the rows are sewn together! 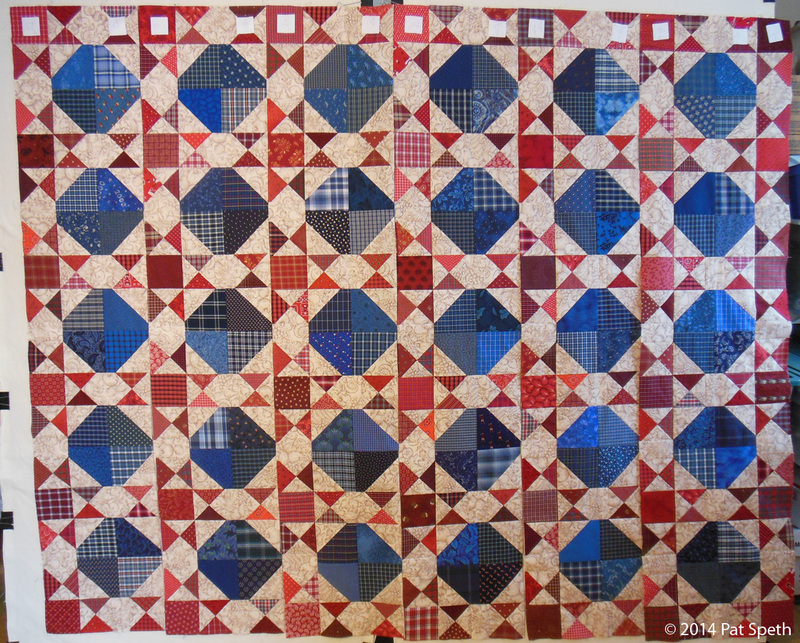 This is the quilt top so far pinned sideways on two of my design walls. I’m loving it! There are about 90 different blues and over 100 different reds. For the pressing when sewing the sashing blocks to the cornerstones, I decided to press away from the sashing and towards the cornerstones. This is the wrong side of a sashing row section showing the pressing. 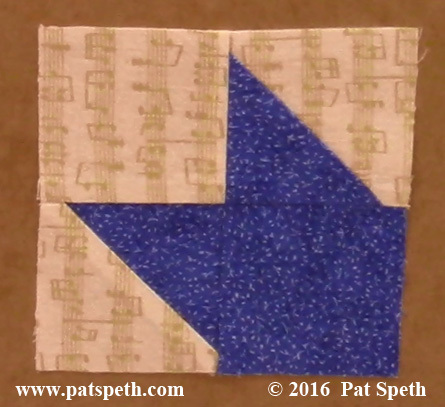 I’m also pressing away from the sashing and towards the blocks when sewing together the block rows. This is the wrong side of a block row section showing the pressing. 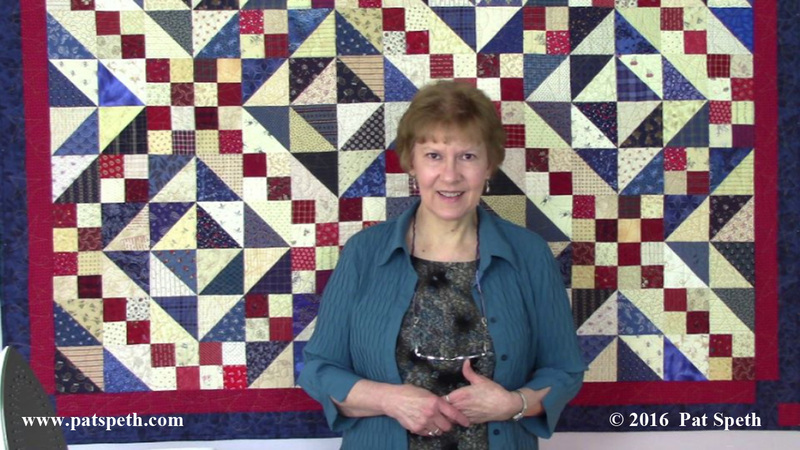 I do love this quilt and the sashing I chose for it, which of course starts me thinking about other main blocks I could use with the same sashing treatment. 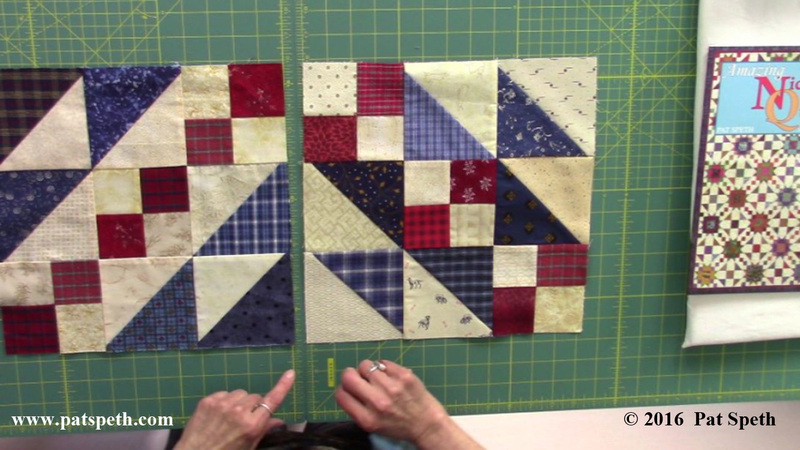 For a simpler and faster block you could just select some wonderful large scale fabric and add the connecting corners in the same manner so you still have those planned leftover half square triangles. 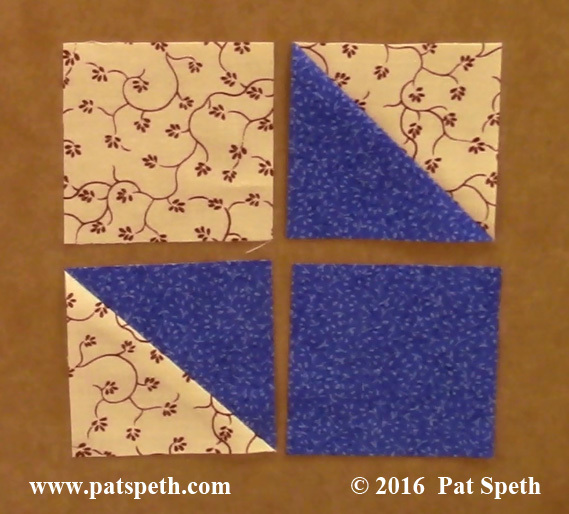 Layer cakes (those 10″ squares) would be a great choice for these blocks since you could trim away just 1/2″ for the needed size of 9 1/2″. 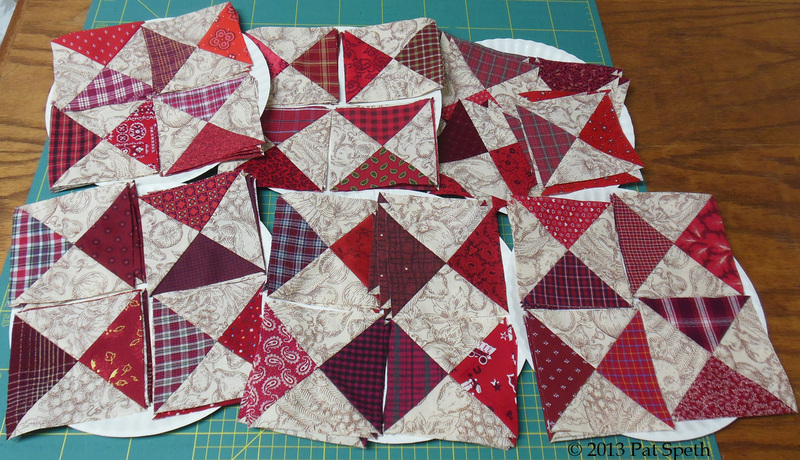 Below are my hourglass units all ready to be sewn into the sashing blocks for the Sweet Land of Liberty quilt. 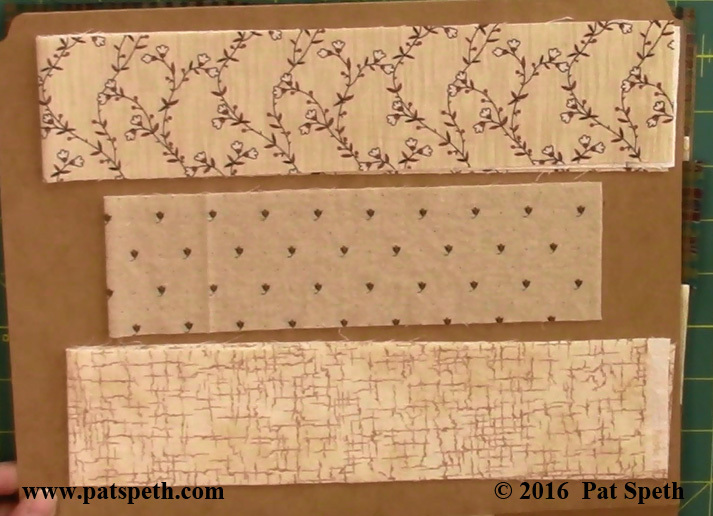 The main block is going to measure 9″ (finished size), so I am adding spacer strips to my hourglass units to make my sashing block finish the same size in length as my main block. 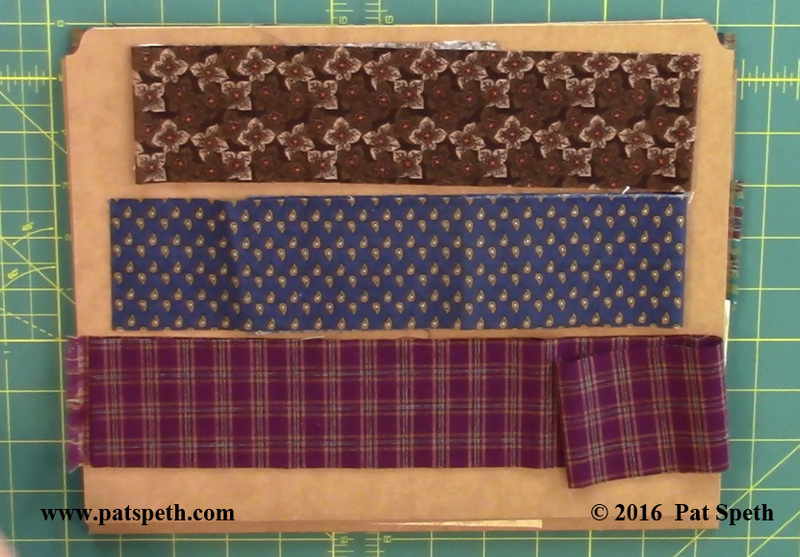 The spacer strip is cut 2 1/2″ x 4″. 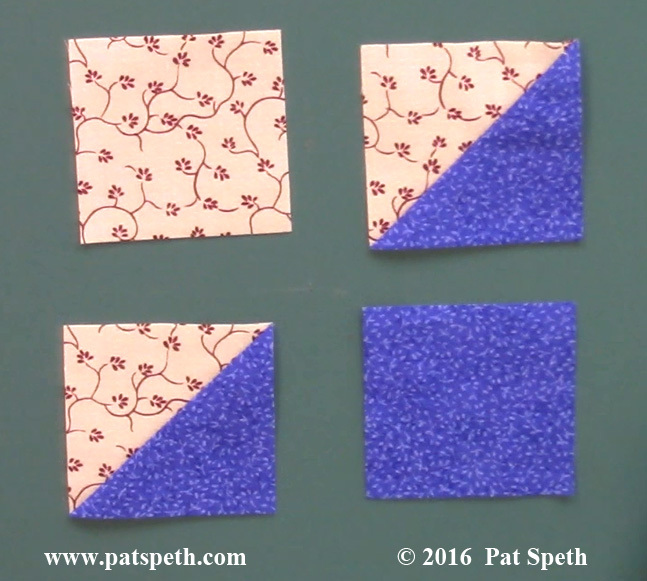 Sew two hourglass units to a spacer strip and press towards the rectangle. 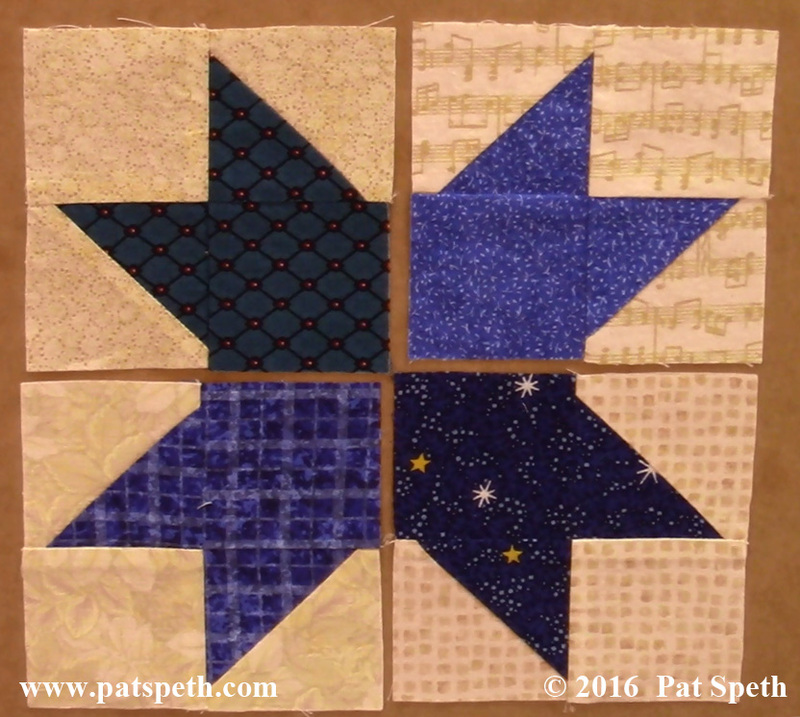 The sashing block should measure 4″ x 9 1/2″ at this point (unfinished). 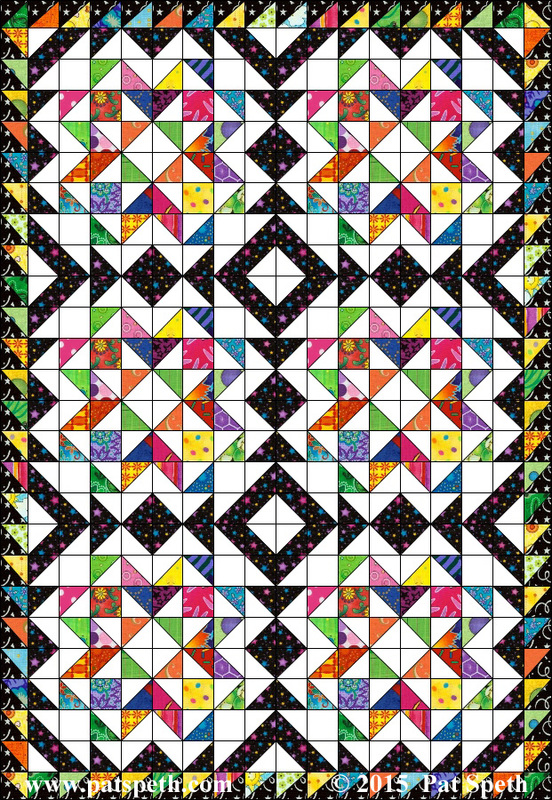 More assembly information on this quilt will follow in another post.